My tooth aches! What do I do? Hi everyone, welcome to another entry in our blog! Hope you are having a nice weekend of rest, I am sure we all need it. Today I want to share some tips on what to do when your tooth aches. You know, that suddenly pain we all get at one point in our lives. One minute we are enjoying a nice ice cream or a delicious hot beverage and in the next we are holding our cheeks from excruciating pain. First of all, although it is a very unpleasant feeling, do not panic. Many patients tend to lose their cool when they get that painful stingy feeling. That leads to panic attacks or even resource to do some stupid things and remedies. This can be dangerous because you can do more harm than good in that situation. You won’t believe how many patient have extracted their own teeth without any need for that and get bad infections and such. So keep your cool, and try to endure the pain as much as possible. To alleviate the pain you can apply some ice. Keep in mind to wrap the ice with a cloth or a towel and apply it to your cheeks. Never apply ice directly to your tooth as it will be a pretty bad experience. Our teeth possess many nerves and although they are really resistant, they are really sensitive, especially to temperatures. This should help to mitigate the tooth ache. It can be nightmare to deal with a tooth ache. Hopefully the tips above will h elp you soothe the pain until you can go to a dentist. That is right, the first thing you should do is to consult your dentist as soon as possible. They are your only hope to solve this problem and take care of your teeth properly. Other than that, you can only resist the pain with band aids, sorta speaking. Only a dentist can help determine what is causing you pain and treat it quickly and painless. There is a huge chance that it is some sort of cavities that is causing the toothache and it is an easy problem to fix. Probably a simple root canal and fillings will do the trick but an evaluation is necessary to decide the best course of action. 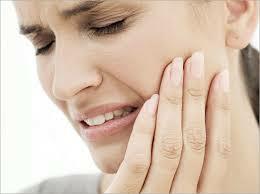 To avoid toothache you should keep a good dental hygiene routine and go every 6 months at least for regular checkups. If you want to save money in dental consider visiting us in Dental Solutions in Los Algodones Mexico. You can save more than 60% in dental treatment to fix tooth ache. We follow ADA standards and our staff is really hardworking, friendly and fluent in English. Get rid of tooth ache and call us now to make an appointment!